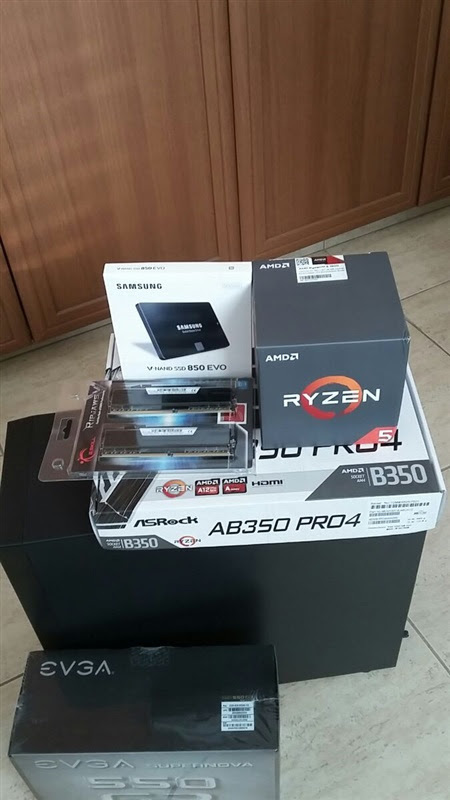 Spend one day to install and modify my new PC. I selected a Ryzen 5 1600 with 16 GB of RAM with an ASRock AB350 PRO4. I also installed a 850 SSD to speedup the IO. First impressions: really fast. The Linux part (Ubuntu 16.04) was mature enough, but the windows was not working out of the box. The only downside was that i had to update the BIOS of the motherboard to 2.5 to make the DDR4 to work in 2400 Mhz. The second issue was that i had to use the AMD pro drivers for my RX 460 to use the full potential of OpenCL. Played a bit with XMR (monero) mining. Despite what people are saying for bad performance in mining, i discovered 400-430 H/s with 7 threads and huge pages.